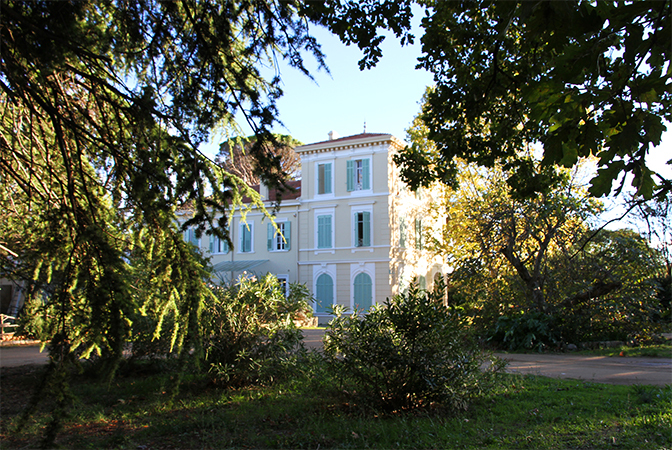 Located in charming French town – Grasse, best known as the world’s perfume capital, this impressive home was actually built by a famous perfumer in 1860 and had been known to inhabit frequent visitors such as writer Antoine de Saint Exupery and actor Gerard Philippe who were family friends! This beautiful home is simply soaked with history and art in every room. Charming rooms are filled with comfortable, modern and antique furniture in a discreetly romantic and historic environment. The beamed ceilings enhance the space and the tall windows allow plenty of sunlight. This home has 5 bedrooms, a huge art studio, library, steam bath, pool, and a great family room to sleep 6 children. Outside you will find a relaxing covered porch and a swimming pool surrounded by beautiful flowers in antique pots. Along with a gorgeous, romantic garden that has a Venus de Milo replica amongst lush flowers. Nearby locations are Cannes film festival a mere 15 minutes drive away, Nice 25 minutes, Monte Carlo and St Trope. This entry was posted in Lifestyle on August 3, 2014 by vigo. The breathtaking new luxury villa of 340 m2 is located in a fantastic place in Peloponnese, called Fragkolimano close to the ancient Epidaurus and only 1h and 15 min from Athens. Is the perfect place to enjoy a private holiday with awesome view over the Saronic Gulf and its islands. Ideal for family vacation, the 4 huge bedrooms provides a luxury stay with plenty of luxury facilities and large private pool with sea water very near the sea. Enjoy the magnificent sunsets, surrounded by tranquil and beautifully landscaped gardens creating an oasis of their own. This entry was posted in Lifestyle on August 2, 2014 by vigo. Designed by architecture design ensemble Studio Arte, this spectacular Quinta is situated on a private property of approx. 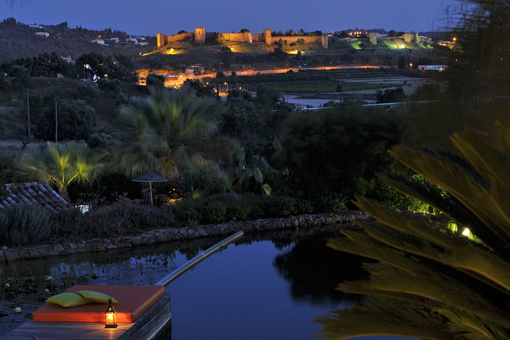 6 hectares with amazing views on the castle of Silves. The view at night on the castle is like looking back into ancient times. The Quinta itself is uniquely furnished and has a special Portuguese / Mediterranean Moroccan ambient but even some elements of vintage James Bond movies can be found back in the styling. It is all integrated with modern comforts. The Quinta is mentioned as a 5 star villa. This entry was posted in Lifestyle on August 1, 2014 by vigo.